Treat yourself and your whole family to a fun-packed getaway by booking Rayna Tours’ Summer Thrill Dubai, which offers you a 4G SIM Card pick up when you are at the airport to stay connected with your family and friends. Featuring four nights’ lodging in your favorite hotel or resort plus all transfers, it provides great sightseeing as well as cultural experiences, along with admission to some of Dubai’s most happening spots such as Legoland Dubai and Burj Khalifa. From captivatingly traditional to the most eccentric, you’ll have access to all of Dubai’s main highlights on a guided city tour. Sit back and enjoy the ride, as our highly knowledgeable guide will entertain you with fascinating info on all city landmarks, including Burj Al Arab, Palm Jumeirah, Atlantis The Palm, Jumeirah Mosque, Jumeirah Beach, Dubai Museum, Sheik Zayed Road etc. Placed right in the heart of Downtown Dubai, the impressive Burj Khalifa trip is another highlight of your Dubai vacation. It’s quite a rare treat to absorb in the all-embracing city skyline views from ‘At the Top Observatory’ on its 124th level. A visit to the world’s tallest building further lets you gain some interesting facts about the region’s historic past as well as this massive structure’s construction. For your little ones, the highpoint of this vacation is undoubtedly Legoland tour, where you can enjoy its 40 plus interactive rides spread over six varied zones: Adventure, Imagination, Lego City, Kingdoms, Miniland, and Factory. Located within the newly opened Dubai Parks and Resorts, it’s the first of its kind in the Middle East, exclusively designed for families of kids aged 2-12 years. Finally, your Summer Thrill Dubai covers some classic Emirati attractions. Feel the timeless beauty, wonder, and mystery of the Arabian Desert, with a consummate desert safari inclusive of dune bash, BBQ dinner, and traditional performances. Most of all, step back in time as you sail along the charming Dubai Creek on a traditional Arabian vessel, complete with the finest dining and sightseeing experience. Crafted with abundance of memorable moments, this distinct package assures you of the ultimate Dubai vacation! Thank you Rayna tours for this great tour package. Apart from the fact that all the tours were well-planned, I loved that the package also included a 4G sim card. It made staying in touch with my family and friends easy. Also, I was able to update my social media pages on-the-go and did not have to wait to reach my hotel to access the internet via Wi-Fi. Best package to book for the family!! It was one of the best summer holidays we had with a family. Our kids had a blast at Legoland Dubai while we enjoyed all the other tours offered in this package. One of the best things I enjoyed about the tour is the dhow cruise on the Dubai Creek. It was relaxing and enjoyable. This tour package is worth its money! Thrilling and adventurous Summer vacation! 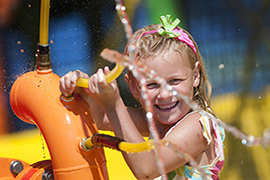 I took my family for Summer Thrill Dubai tour package from Rayna Tours. It started with a trip to Legoland Dubai. This theme-park has 5 different zones and all are equally good. My children specially loved Lego City and Imaginations and Adventure and my wife the Submarine drive in Adventure. There are lots of restaurants near the park and we tried some authentic Arabian dishes. The next day we ventured out for Dubai city tour in the early morning. Venturing the city with a friendly guide was a joy. As the evening sneaked in, we were escorted for dhow cruise dinner. The traditional dhow decked with modern facilities made us view the city from the serene waters. As the dhow sailed past, each of the skyscrapers appeared like a kaleidoscope of colors. 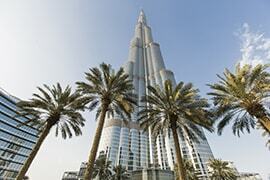 The last day of the tour was reserved for Burj Khalifa and desert safari. We loved watching the city from the Observation Deck and went crazy with the desert adventure.